The polishing wheel dresser is a tool that finds its place in every grinding and polishing shop. New polishing tools (all buffing wheels, flap wheels, polishing rings, etc.) 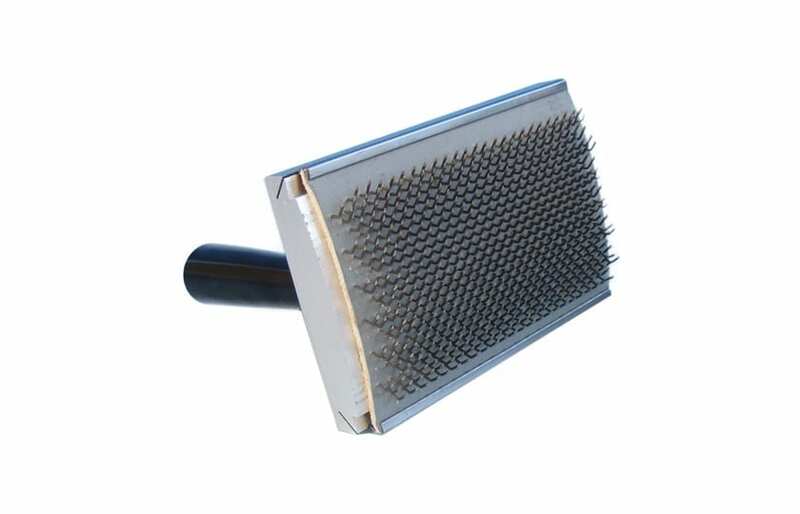 can be safely and easily roughened so that they can pick up the required polishing paste and polishing emulsion much faster. Polishing tools already in use (all buffing wheels, flap wheels, polishing rings, etc.) have the disadvantage that when using alkaline-based emulsions they harden over a longer service life or the polishing pastes crust. The polishing wheel dresser can help here. As a result, you increase your own productivity by using this tool. In addition, we offer a replacement coating that is easy to replace.